How many words can you come up with off the top of your head that start with the letter A? What if you had to think of something at the beach that starts with the letter C and you only had a few seconds to do it? 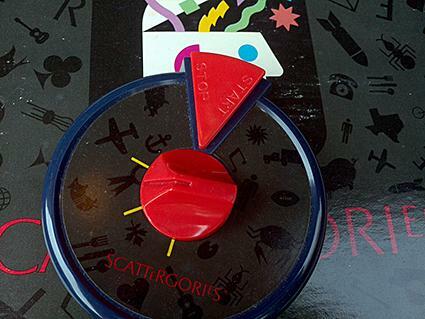 This is the object of the game Scattergories. In this fun list game, a letter die is rolled, lists of letter categories are passed out and the timer is set. Players have a minute to come up with a word for each category that starts with the letter rolled. When categories that come with the game, like "Food at a Diner" and "European Destinations" no longer thrill you, it's time to pump some life back in the game by making your own Scattergories lists. Next time you play Scattergories, make up your own lists using some of these category suggestions. A typical Scattergories list features 12 different categories related to different topics, so you can pick and choose from the categories to make your own customized lists, or play a themed game using single categories. Keep these new lists handy by printing out a free copy for each player. If you need help downloading the printable lists, check out these helpful tips. Make Scattergories the main event at your next party. In addition to these categories, you can play the game with personalized or themed lists. For example, if playing with family members, make a category of cousins or family members' names. With friends from school, play games such as teachers' names. Use themes for bridal or baby showers, family reunions, or any other type of gathering. Themed lists can give the game a fresh take that will delight friends and family members.